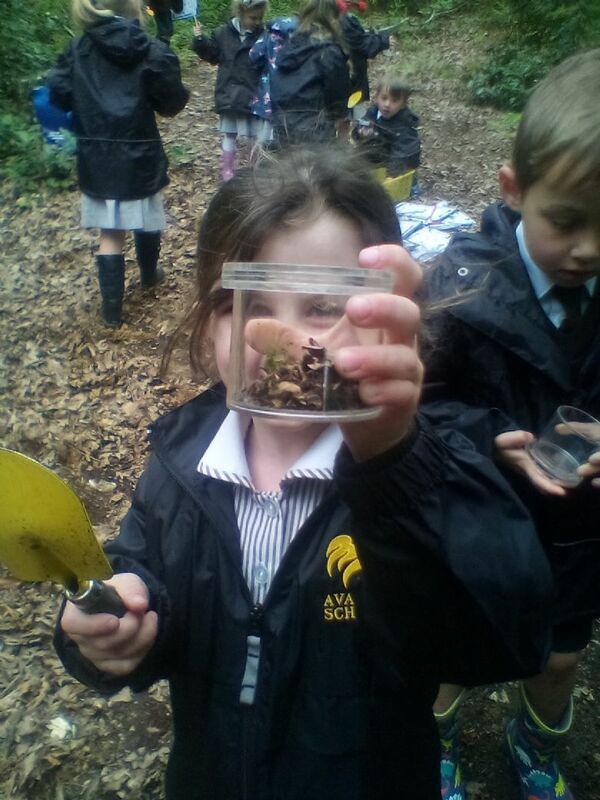 School Trip to Imagine That! 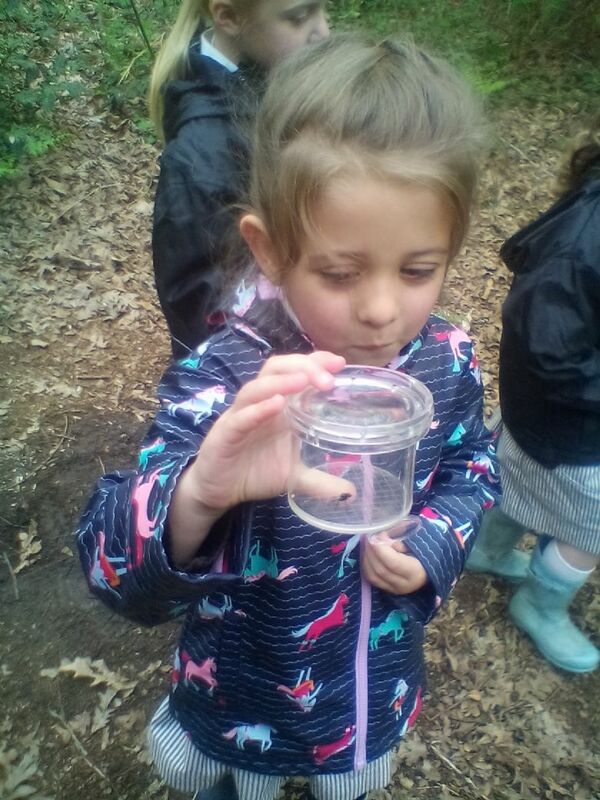 Click here to check out all of our photos from the day. 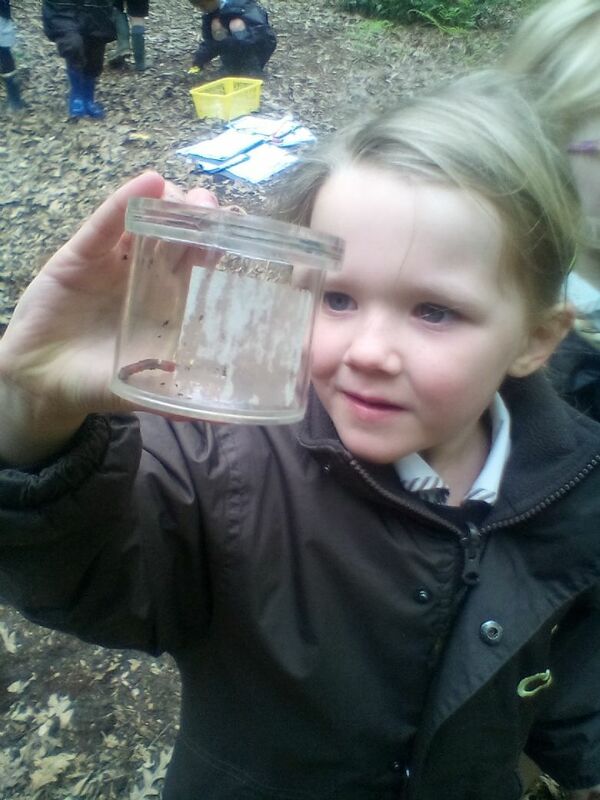 We were blessed with perfect weather for our Sports afternoon and the children thoroughly had a fantastic time. 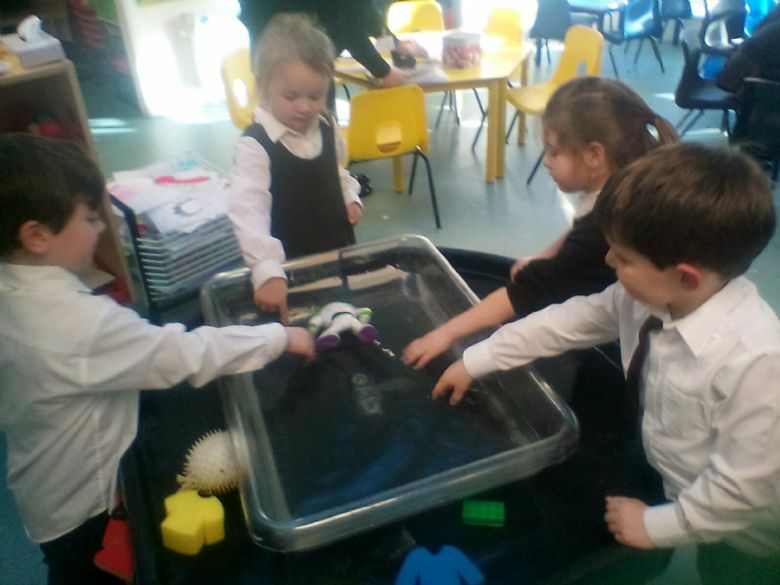 Well done to the all of our children in Reception Class, who all participated in lots of games and an additional well done to the parents for doing so too! 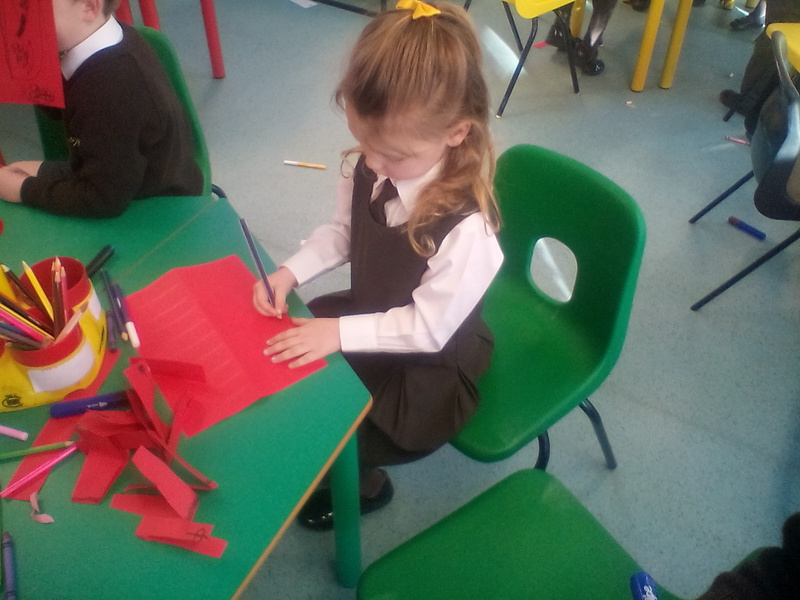 Reception class created a beautiful congratulations card to celebrate the wedding of the new Duke and Duchess of Sussex, Prince Harry and Meghan. 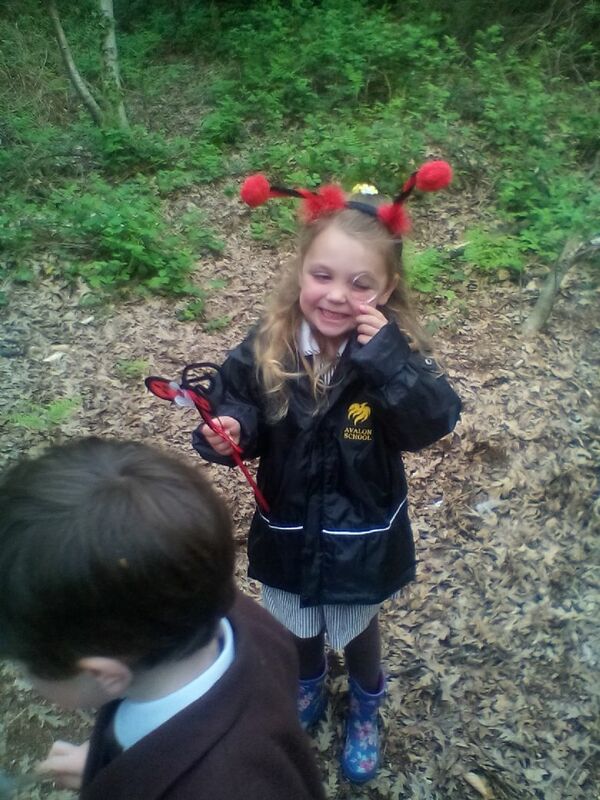 As part of our mini-beast topic, Reception were so excited to visit our local woods for a mini-beast hunt! 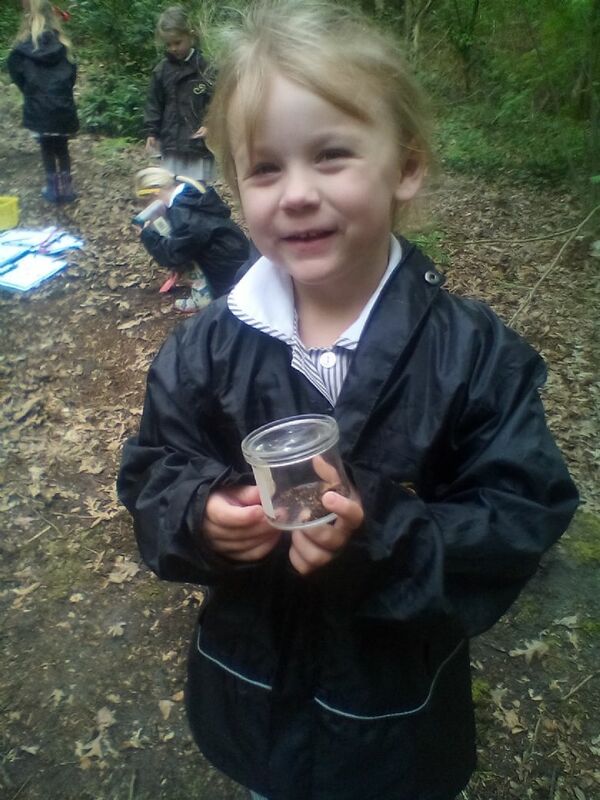 Loaded with magnifying glasses, bug bottles, garden tools and clipboards, they enjoyed finding a range of mini-beasts to aid their investigations back at class! 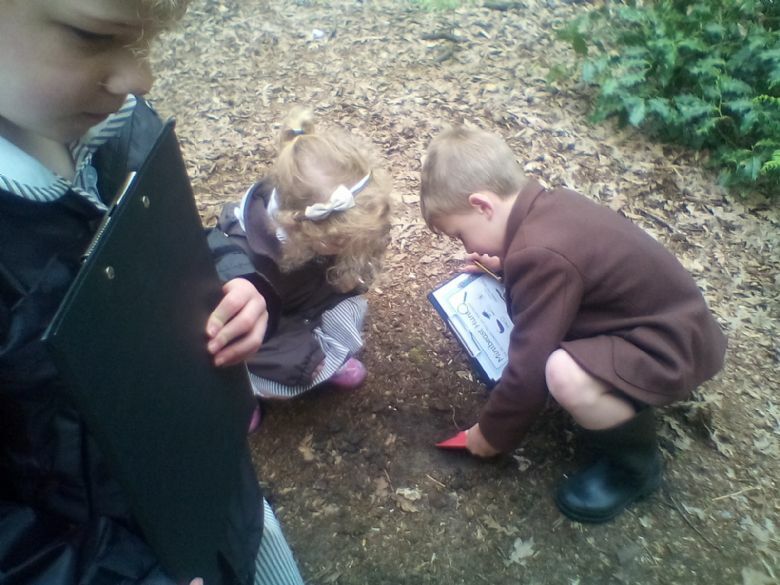 Reception have really enjoyed celebrating 'World Book Day' today. 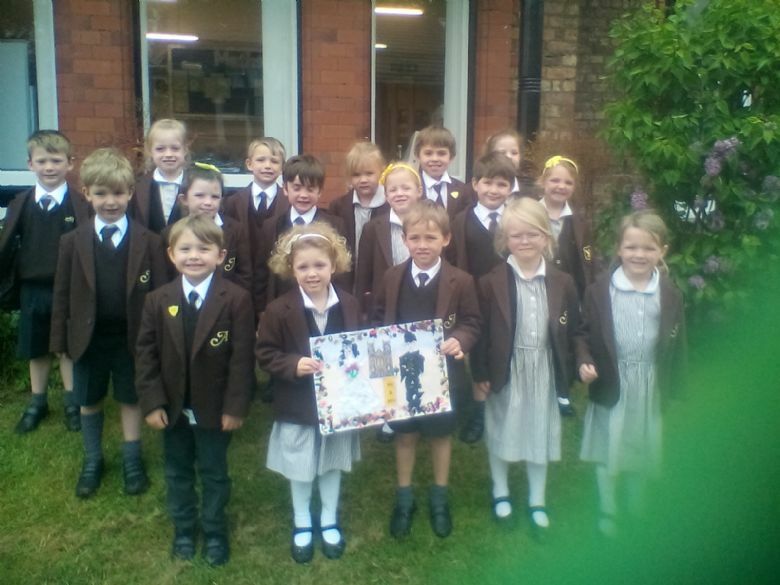 We started the day with a visit from Year 5 who shared a story with each child individually in Reception. 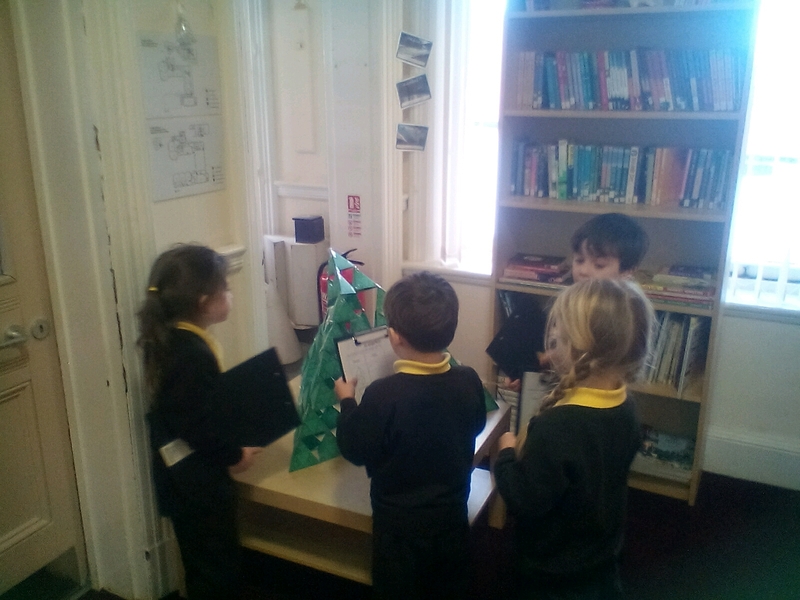 We then had a parade in the hall and got to show-off our fantastic costumes to the rest of the school. 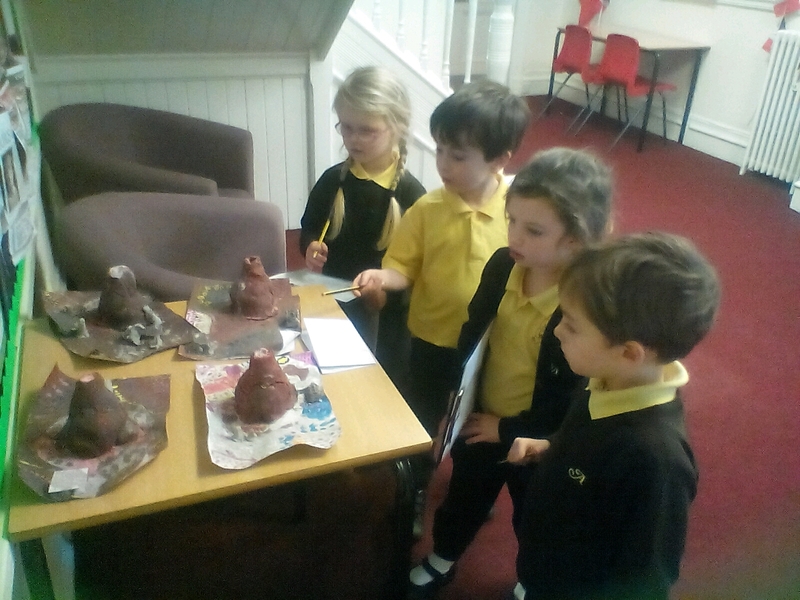 At lunch-time we enjoyed some book-themed desserts including Gruffalo cakes and Harry Potter cookies! 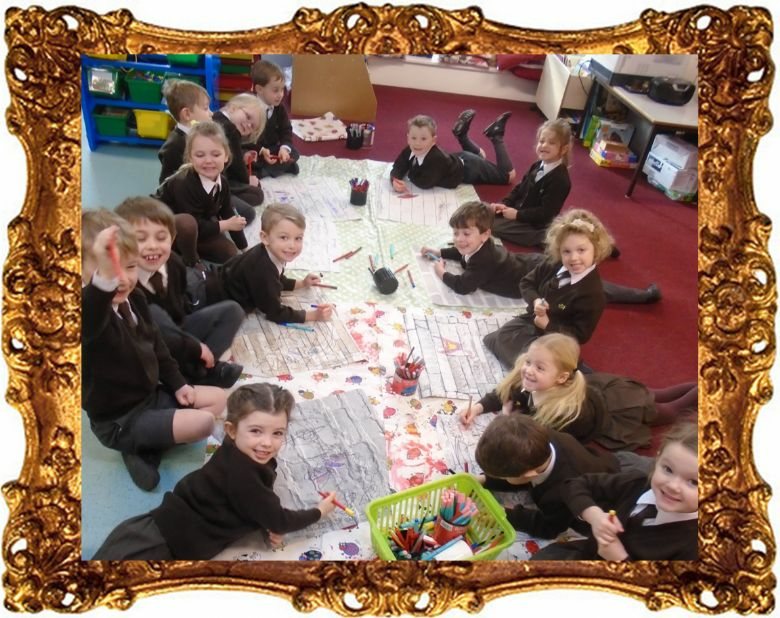 Reception enjoyed an Art flavoured Spanish lesson. 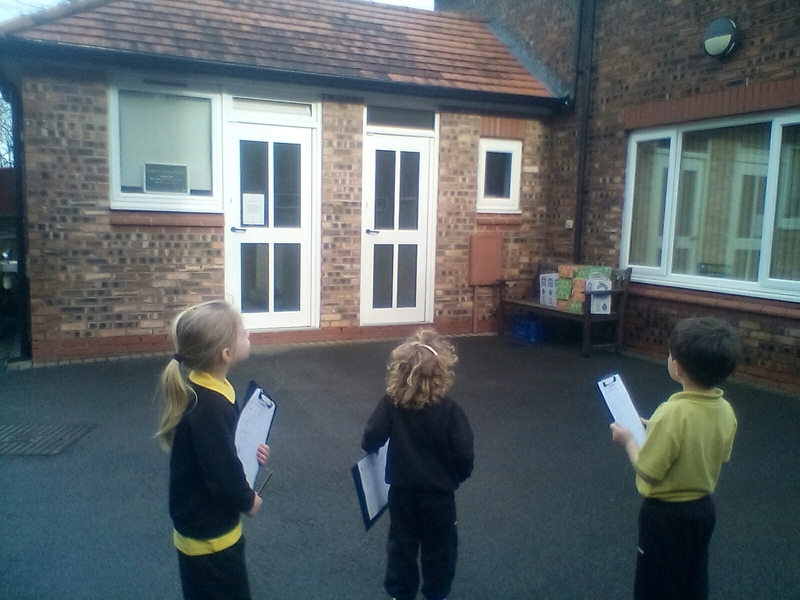 Using action words such as ‘walk, jump, swim’ (caminad, saltad, nadad) we took our ‘lines for a walk’. 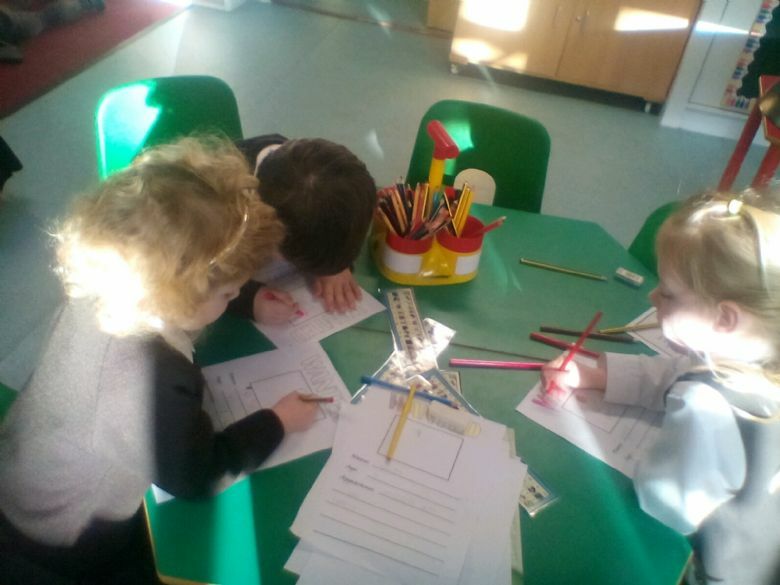 Then coloured in the block shapes to give us some effective abstract art whilst following instructions in Spanish. 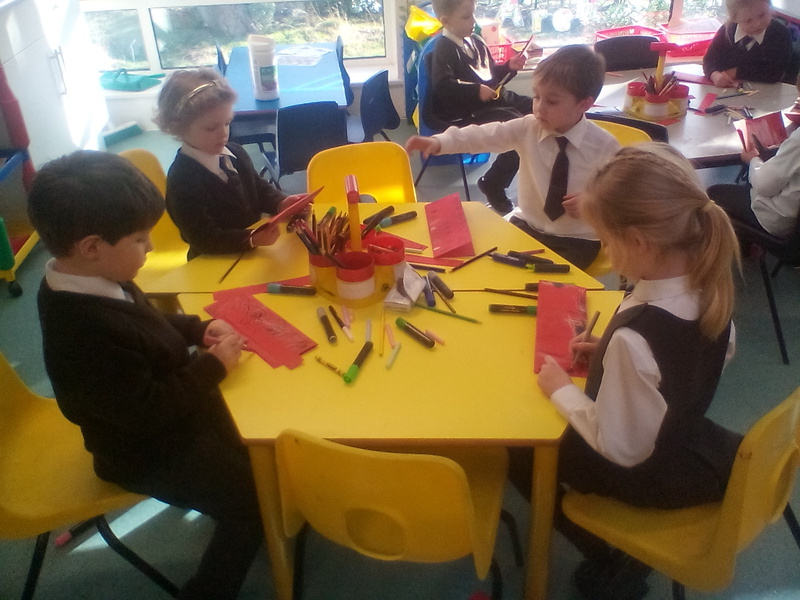 Over the last couple of weeks, the Reception children have really enjoyed learning about Chinese New Year. 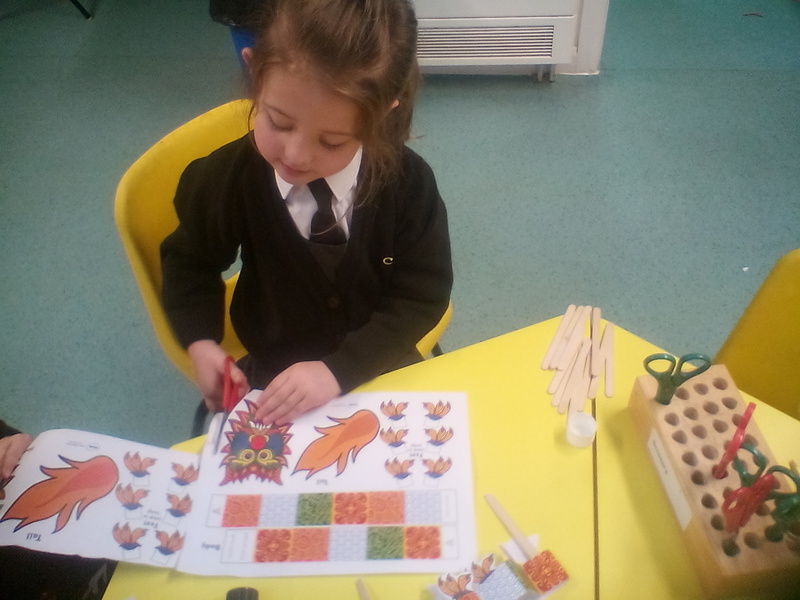 This began with us reading 'The Great Race' story and learning about all the different animals. 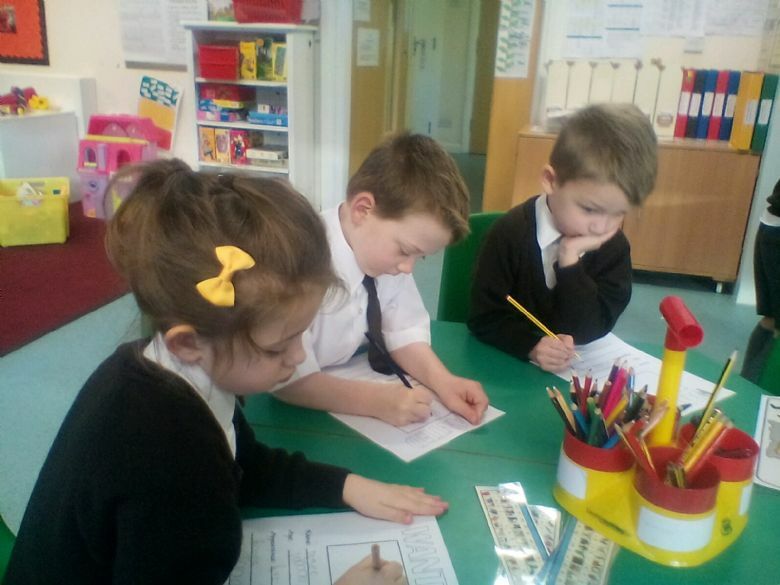 The children really enjoyed learning about what animal represents the year they were born and writing about them too. 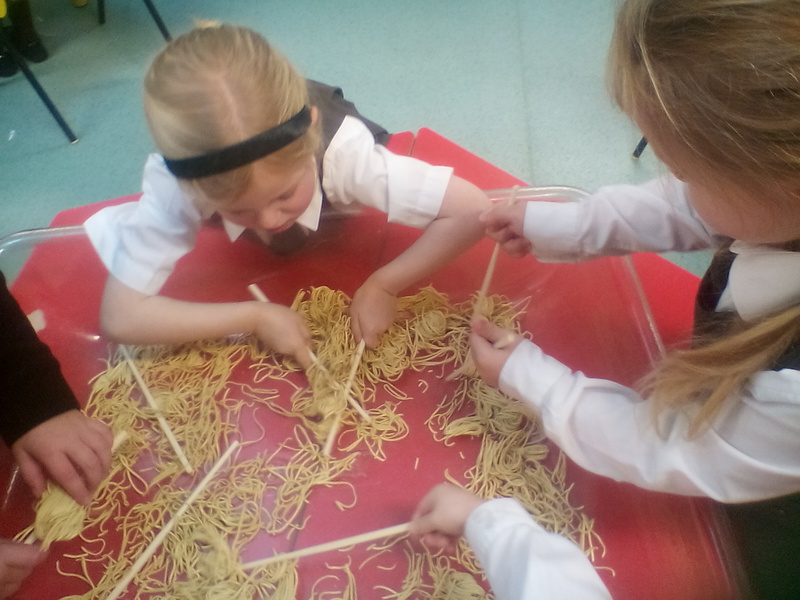 In Mathematics, the children have been learning about money which we were able to incorporate into our Chinese Restaurant role-play area. 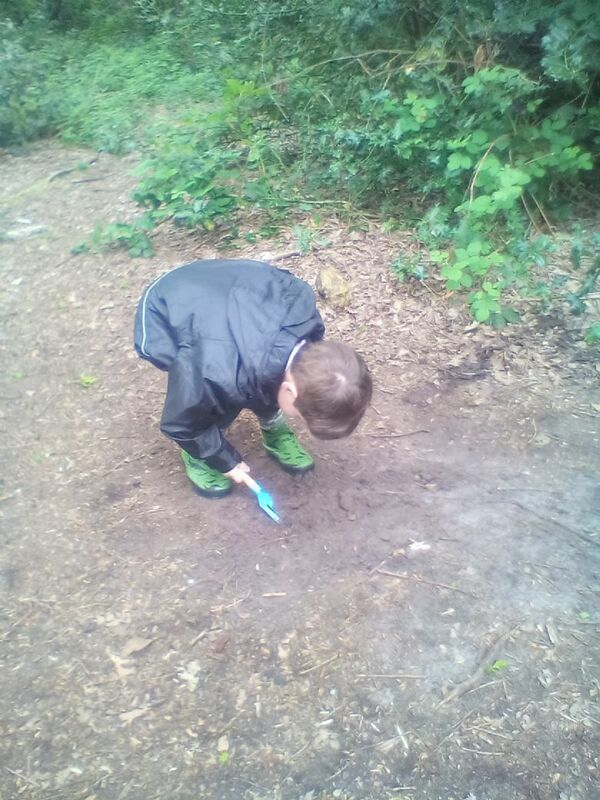 The children developed their fine manipulative skills by finding coins using chopsticks in the sand and playing shop outdoors was very popular too! 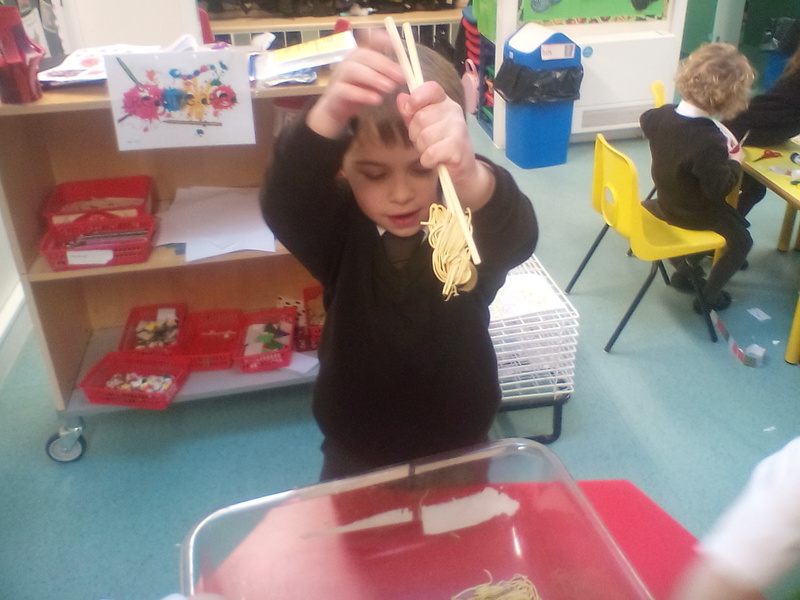 In addition to this, the children have enjoyed exploring what would happen if they added water to dry noodles and they had lots of fun creating lanterns and dragons to decorate our classroom. 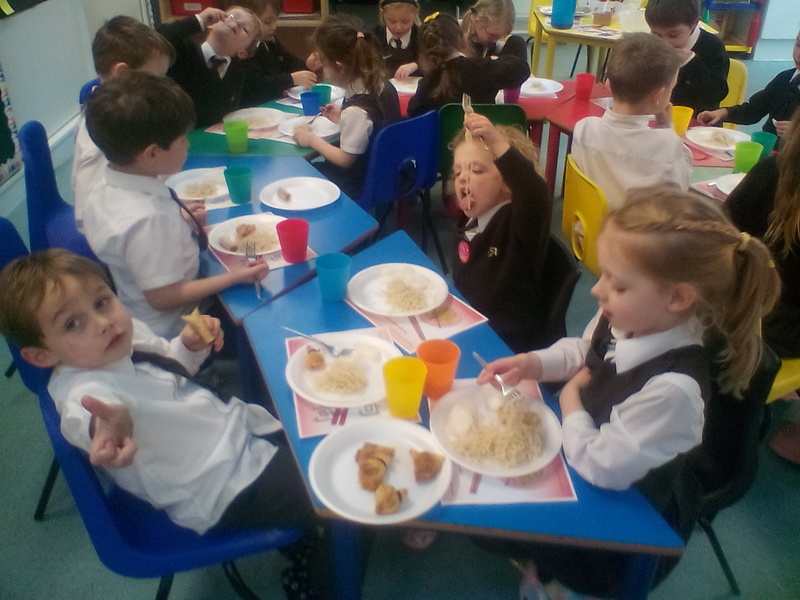 At the end of the week, the children celebrated Chinese New Year with a party! 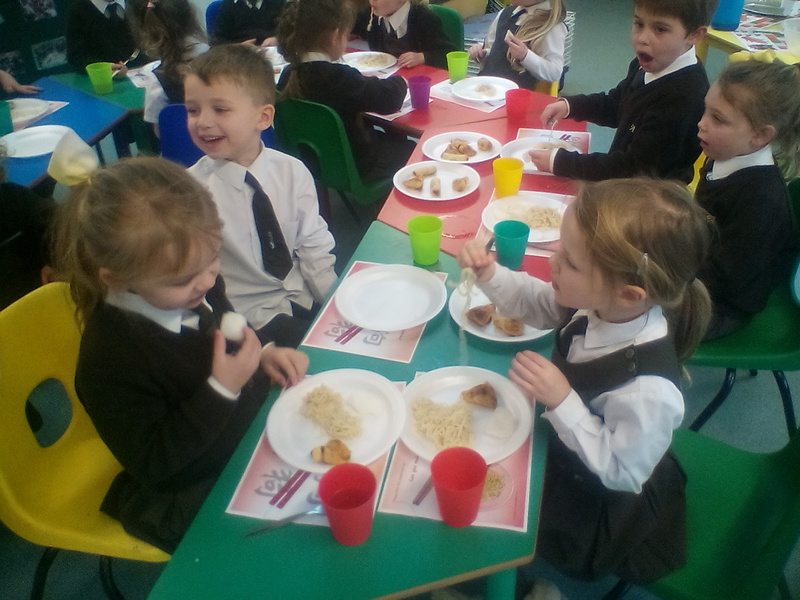 They enjoyed food tasting, dancing and playing games as well as creating a red envelope with a good luck message to give to their families. 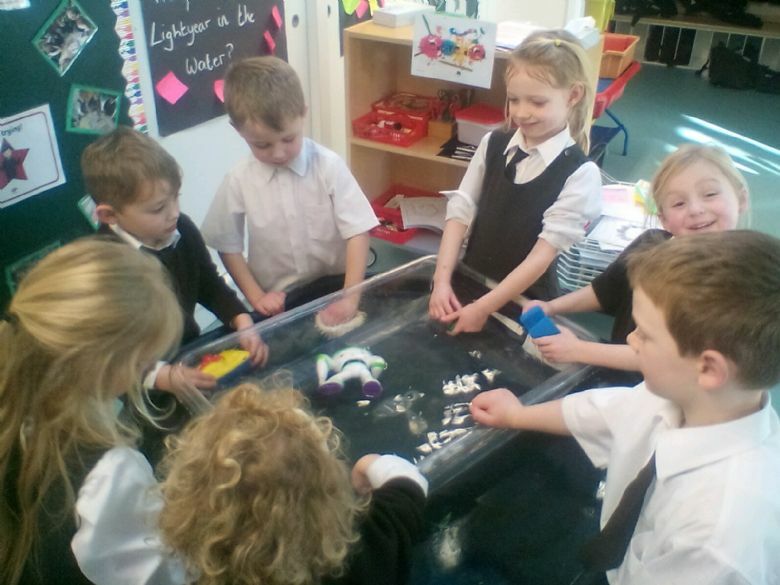 Woody sent Reception a special parcel in the post, the 'Toy Story' storybook! 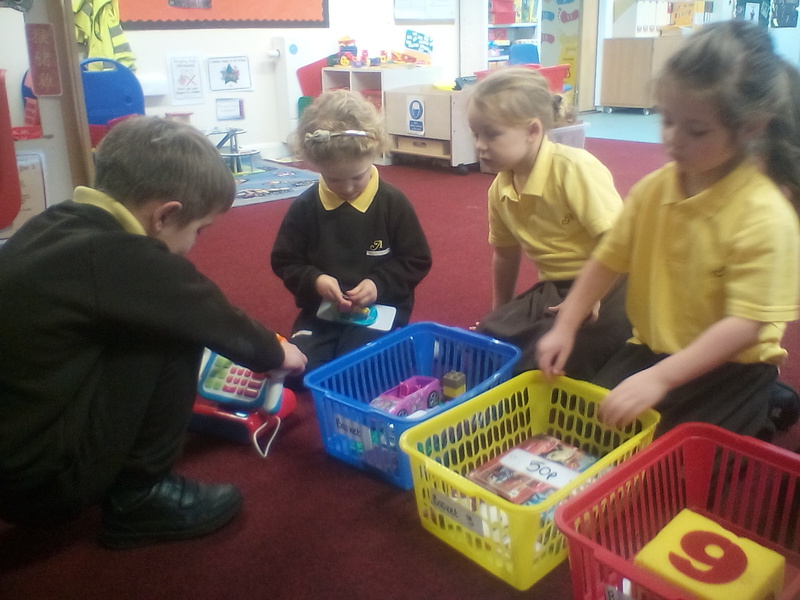 After we read the story, we were saddened to learn that the toys had got lost. 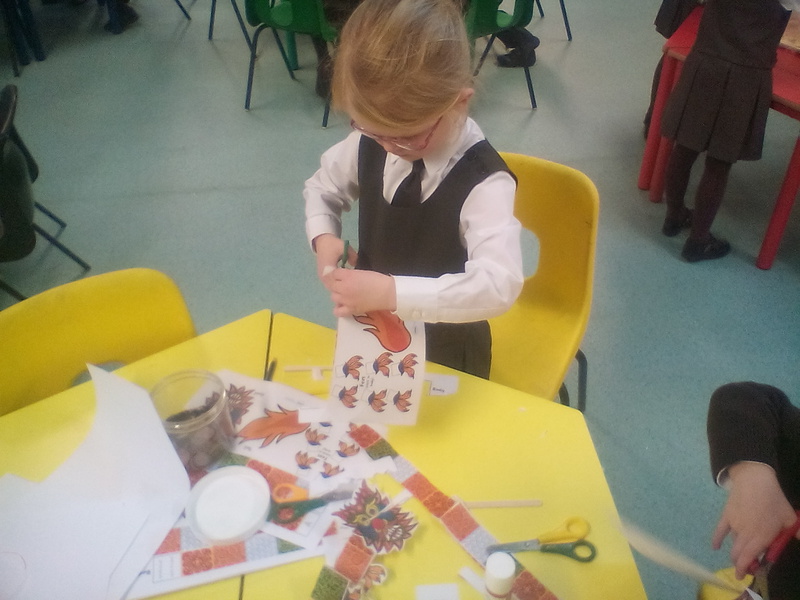 As a class, we discussed ways in which we could help find the toys and it was decided that we would create wanted posters for our favourite lost toys and stick them up around school! 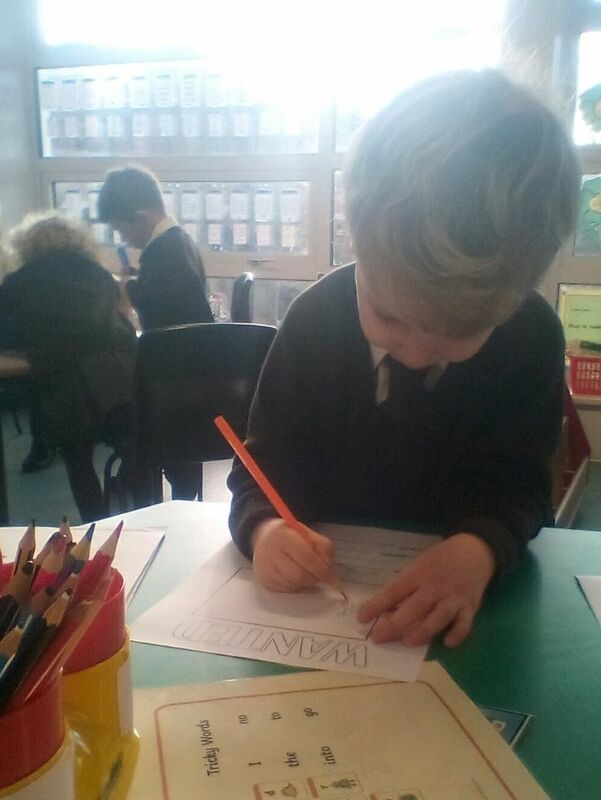 Reception created some fantastic wanted posters using describing words and even offering a reward if their lost toy was found! 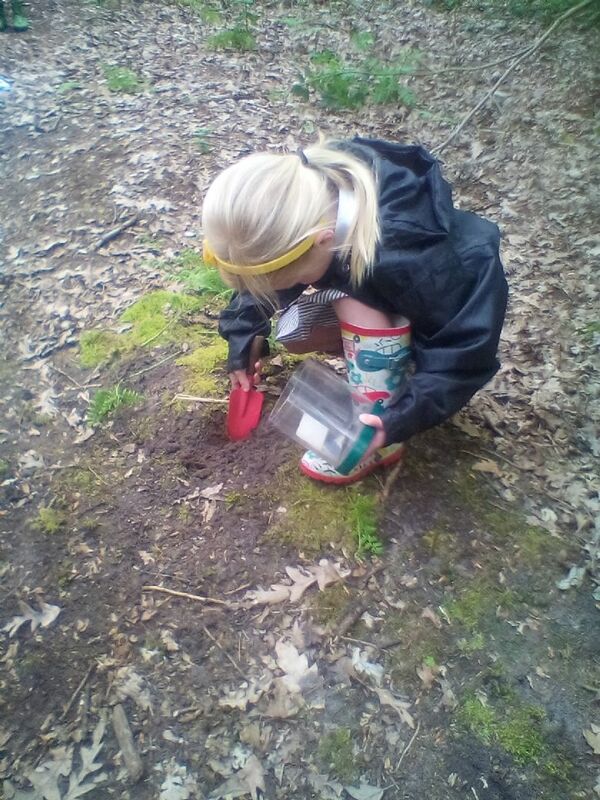 You will be delighted to know that it worked and all of the toys were found safely. 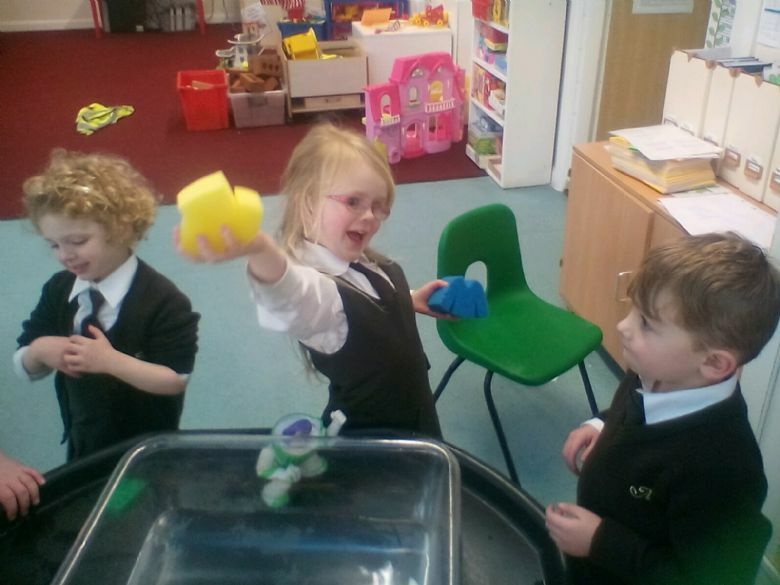 In Reception, the children have been learning about 3D shapes and their properties. 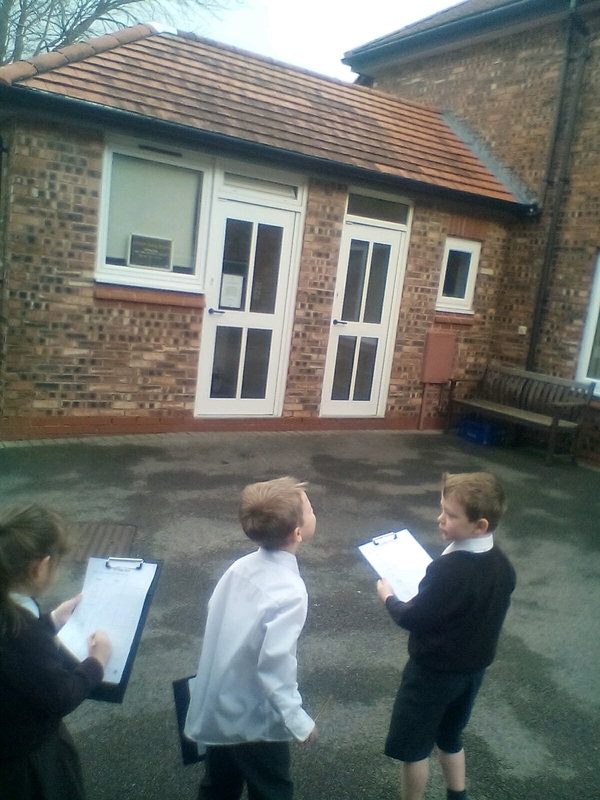 The children were really excited to go on a shape hunt in and around our school grounds. 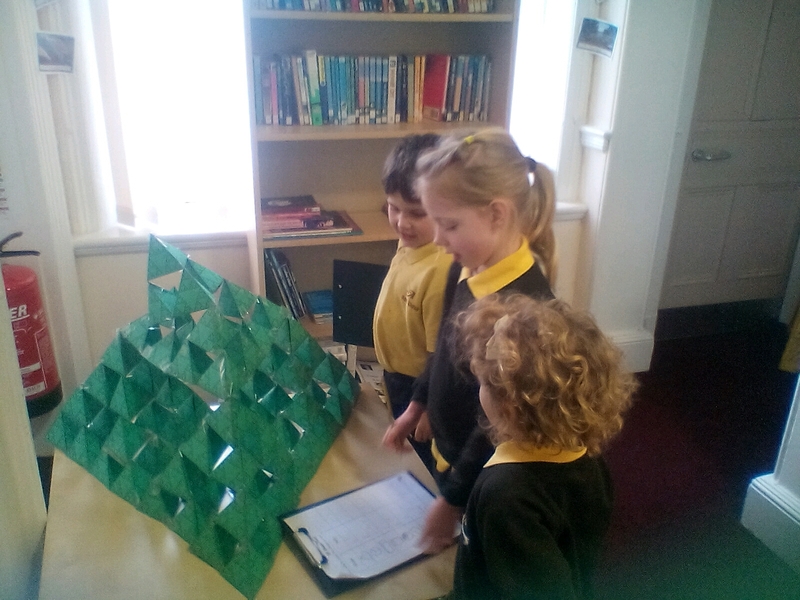 We spotted cones, pyramids, spheres, cubes and cuboids. 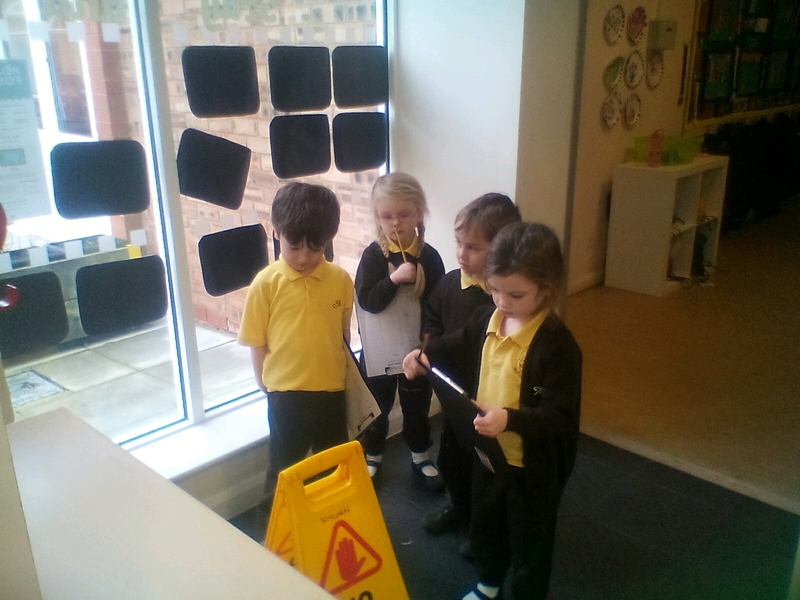 Reception were particularly excited to notice that our school roof looked like a triangular prism! 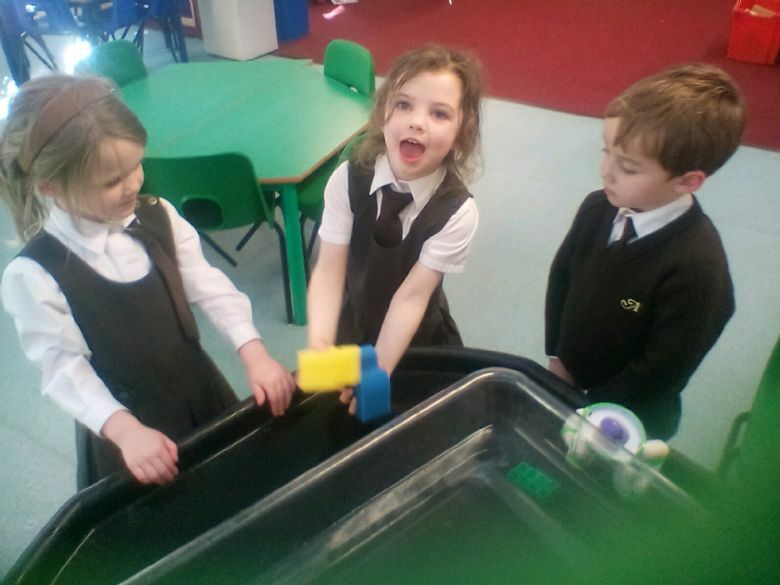 Reception class enjoyed their first P.E. lesson, this term, doing a Dance lesson. 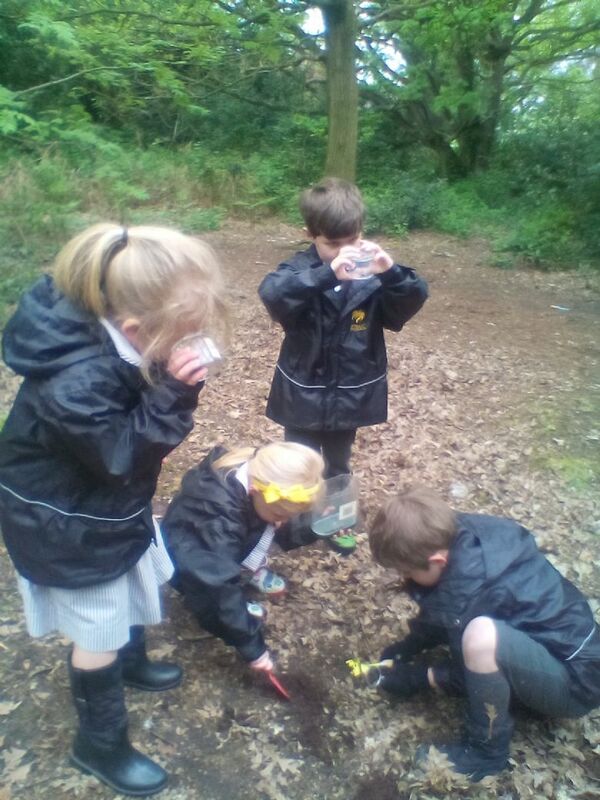 Listening carefully to the music, they responded by stretching into star shapes and making star movements. 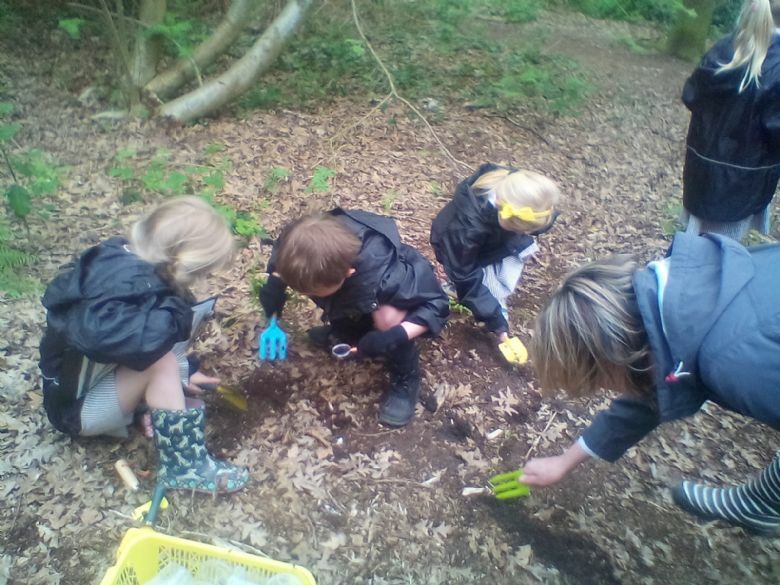 They really were little stars.